1Wanting to cut costs on the energy bill, especially now that temperatures are dropping for the season? 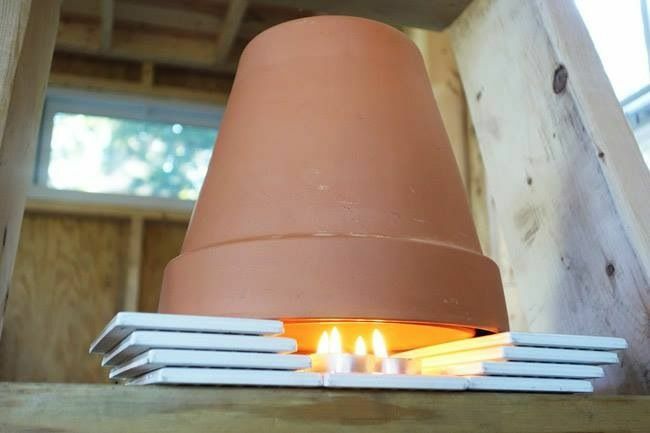 Economics may be one reason to seek more sustainable energy sources, but this inventive way to heat the house is also purely fascinating. 2This system works because the candles produce gases full of heated particles that are captured and channeled through the pots. As hot gas particles are lighter than the air, they will rise up through the top into the colder area.